German Scientists Burkhard Heim suggested in the early 1960’s that faster than light travel could be achieved if the craft were to be pushed into an alternate dimension where limits to the laws of physics did not exist. The interesting part? By coincidence we now have a machine that could generate magnetic fields of a comparable magnitude to what his experiments suggested today. Scientists looking at Heim’s data have suggested that a best case scenario could allow the human race faster than light travel within the next five years. 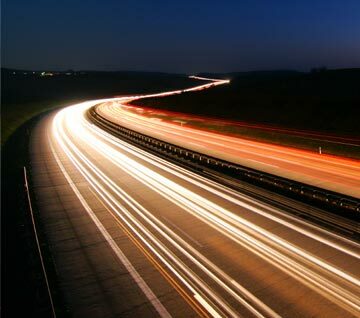 Faster than light travel, as we all know, is something that has thus far been pushed to the realm of science fiction. While it’s tempting for scientists to explore and even validate with the innovative theories that have sprung up around the subject, it’s difficult to prove or disprove whether the world will ever be able to enjoy a quick trip to Mars that could take less than a current flight from LA to DC. But as the science of this theory becomes less speculative, many are suggesting that this theory is actually gradually heading toward a world where space travel isn’t just a matter of some distant future, but that traveling to the nearest star system could be achieved in a matter of weeks. If that’s not enough, then consider the following: scientists originally suggested that human flight was impossible before the discovery of lift. Scientists then suggested that travel into orbit was impossible until shortly before Sputnik was launched. It was then widely considered completely ridiculous that a human being could ever stand on the surface of the moon. Mathematical equations drafted up using Newtonian physics proved it. All of these hurdles were overcome with the innovation of scientists with imagination. And now the human race has reached perhaps its final block before being able to traverse the distance between Earth and the nearest star. Is it possible that this too could one day be overcome? Could we soon be looking at easy space travel from Earth to Mars taking us just as much by surprise as humans traveling to the Lunar surface did? Could these theories one day mean humanity could ship entire colonies to the Martian surface and other planets beyond within their own lifetimes? One thing that scientists have pointed out is that time, according to Einstein’s theory of relativity is, well, relative. Faster than light travel might be instantaneous for those in the ship, but take years for those of us on the surface of the planet. And someone who took off on a spacecraft in the year 2020 could be looking at an alien planet in 2100 after a relative trip lasting only four years for them. But even this is not well understood just yet because it is all theoretical. And while the alternate dimension theory is enough to make the trip possible, it still leaves much to the imagination. And imagination is something that the scientists hoping to make this happen certainly do not find in short supply. Why do I want to believe in the Big Bang? Just What IS Reality Anyway…?